Providing high-net-worth individuals, corporations and family offices with the insight and expertise they need to choose the private aviation membership or card program that makes the most sense for them. With many options to consider when comparing membership and card programs, it is critical that our clients decide on the aircraft model that best suits their needs. In some cases, a membership program will make the most sense, while in other cases a card program will be preferred. This is determined primarily by understanding each client’s objective, flexibility and aircraft size requirements. The team at Essex assists clients in evaluating all the details of various aircraft options based on their specific needs and requirements. Essex also provides an operational and financial analysis to ensure the most appropriate aircraft, program model and applications are considered. Membership programs let clients fly as they please, offering flexibility and a fixed operating hourly cost. At the start of the contract, clients agree to a fixed cost per hour, which is then billed after each flight. Beyond actual travel costs, there is typically an initial fee along with annual membership fees. 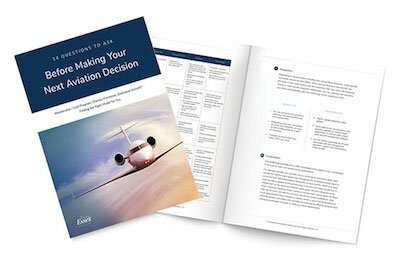 Operators of membership programs often utilize a fleet of their own aircraft, offering clients a higher level of consistency in terms of the aircraft they will be utilizing. There are two options when it comes to utilizing card programs. The first is to buy a dedicated number of hours on a specific aircraft type from a card program provider. This option allows travelers to upgrade or downgrade certain aircraft type as desired based on agreed interchange rates. The other card program option is a debit card. This option simply lets travelers fund an established travel account. Hourly use rates are normally fixed and are based on aircraft size. When a card member travels, the total cost of the trip is calculated at the completion of the trip, based on aircraft size, and the cost is automatically deducted from their card program balance.. It is important to note that many card programs operate as brokers and therefore work with several different operators. Travelers will usually be advised of the actual aircraft they are traveling on a few days in advance of their planned travel. Once a client decides on a membership or card model, Essex reviews the contract to ensure all details are fully understood, reasonable and in line with industry standards. For example, utilization limits should be reviewed as well as the ability to terminate the contract and receive a full refund. The financial stability of the particular program is also important to consider before signing.